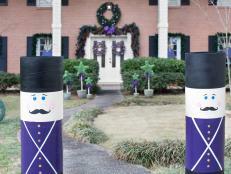 Celebrate Hanukkah from your front door to your garden with these colorful decorations. 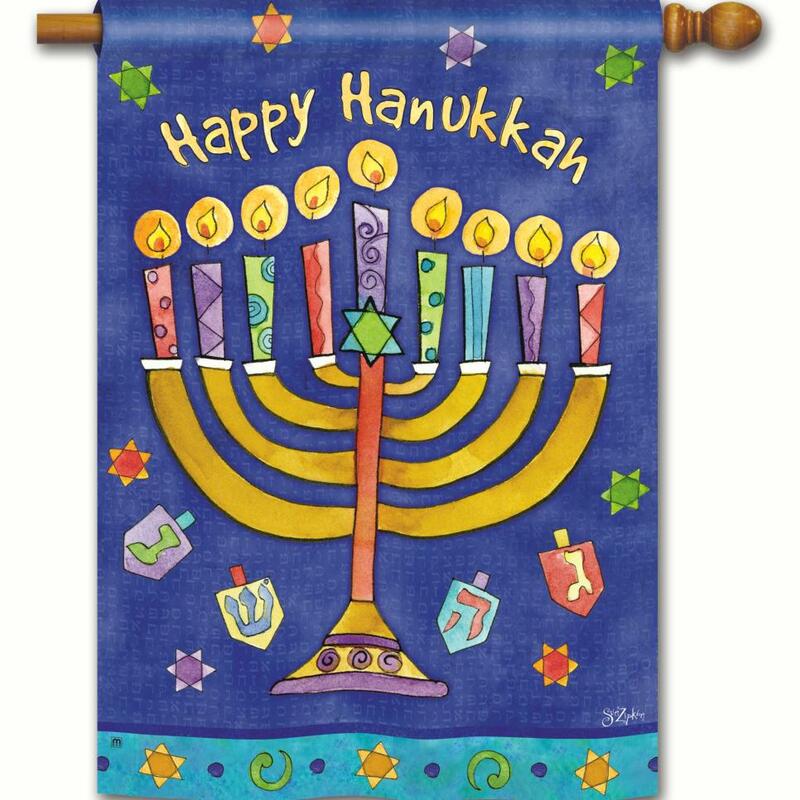 Swap out your fall garden flag for a Hanukkah version. 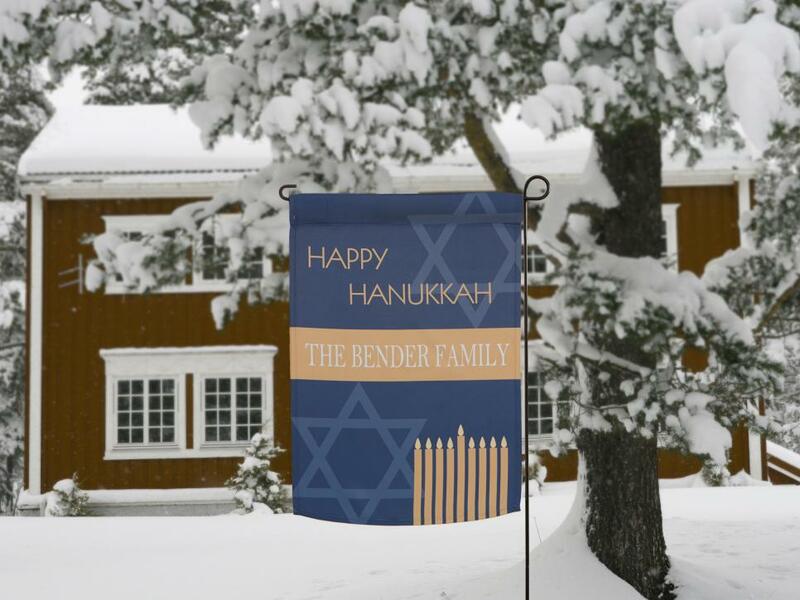 This Happy Hanukkah garden flag also has a personal touch, since it can be designed with any greeting or family name in the gold middle bar. 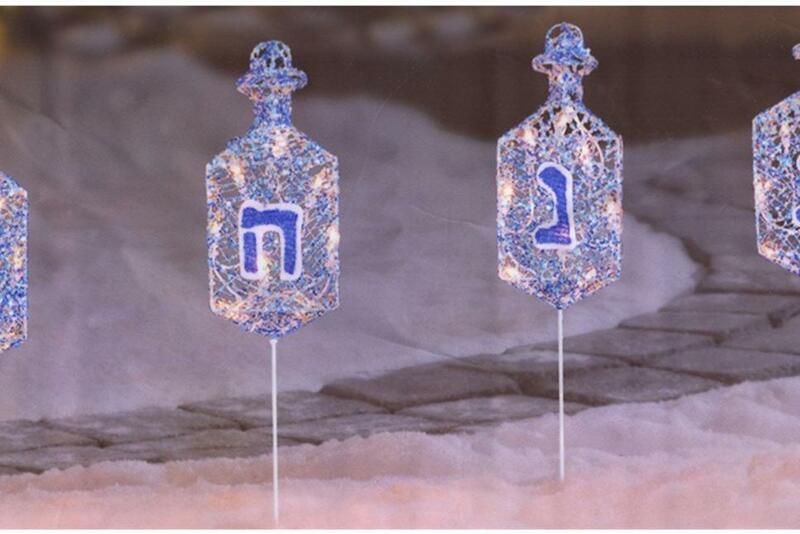 Bring a sparkle to your walkway with lighted Hanukkah markers. 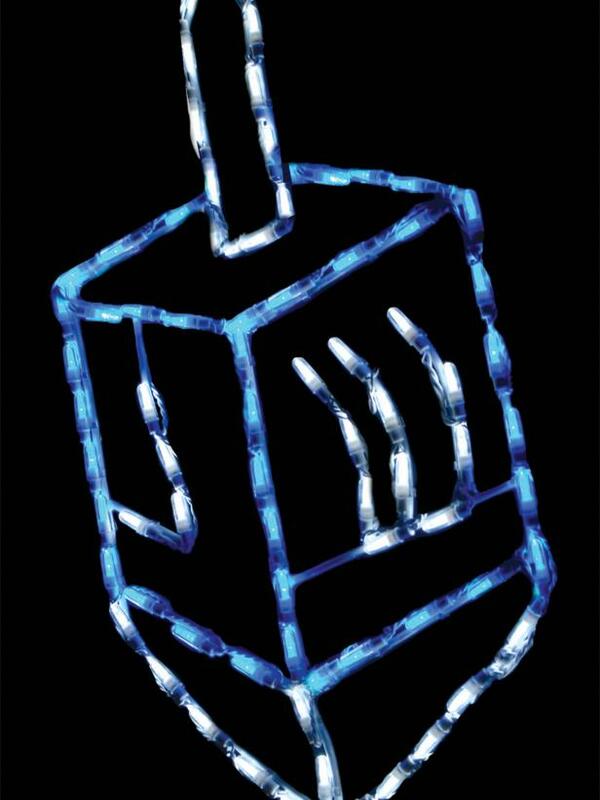 The dreidel-shaped markers are covered in blue and silver sequins. 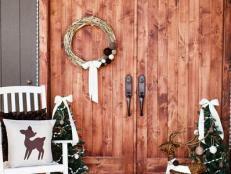 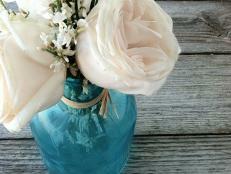 Adorn a door with a hand-crafted wreath in a blue-and-white color scheme. 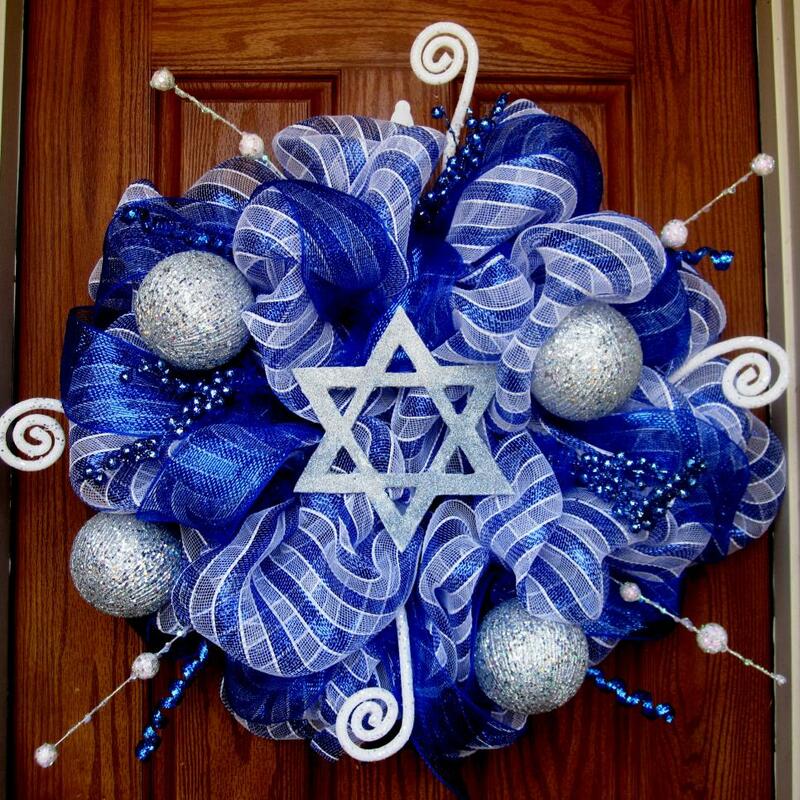 A glittery wreath made by Fabracadabra Designs and sold on Etsy, uses a combination of blue-and-white mesh, ribbons and beads, metallic balls and a Star of David as the centerpiece. 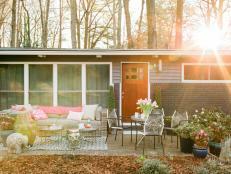 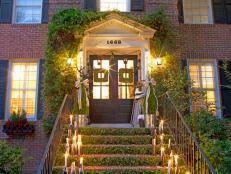 For a gorgeous glow outdoors, 150 lights make up the Menorah LED Light, sold by Wayfair. 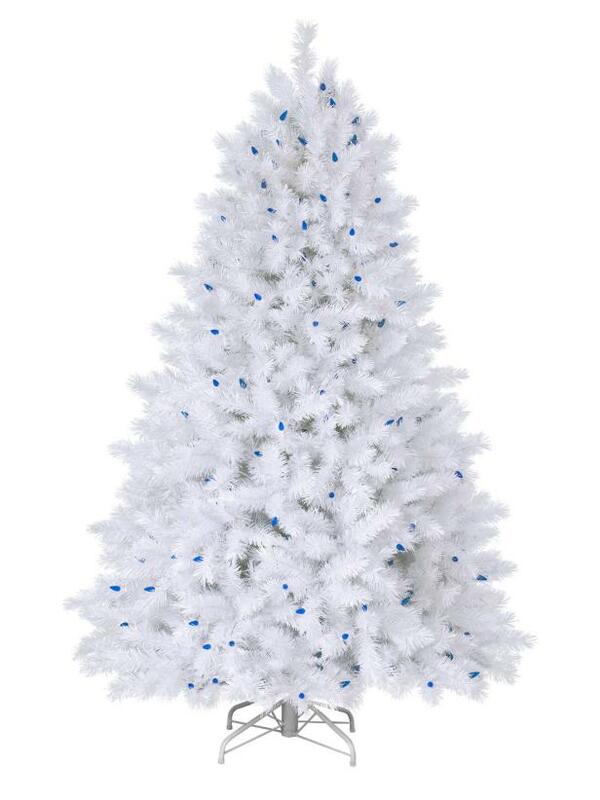 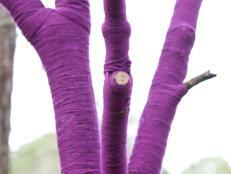 Treetopia's Hanukkah bush is comprised of white needles, a white stand and blue LED lights. 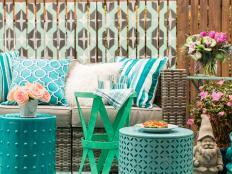 This flag's colorful and whimsical design, by artist Sue Zipkin, can draw attention to a yard. 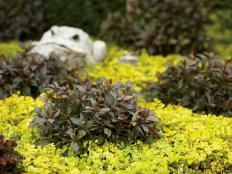 The 28-by-40-inch flag is made by Magnet Works, whose products are sold at garden centers and boutiques. 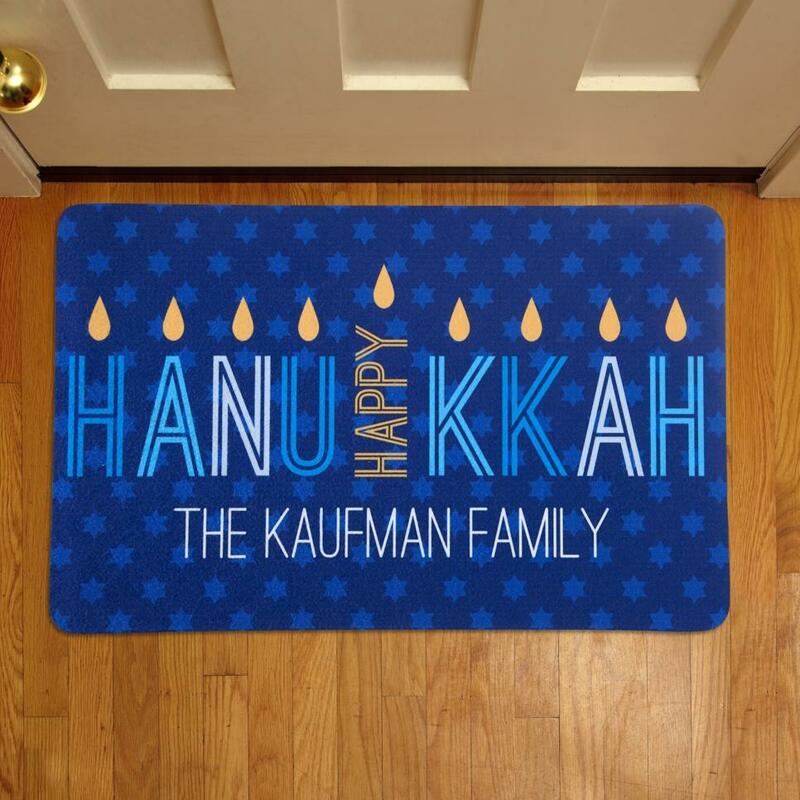 A joyful vibe radiates from this Hanukkah doormat by PersonalCreations.com. 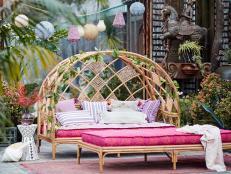 The design is also available in other items, such as a slate with a leather strap that can be used outdoors. 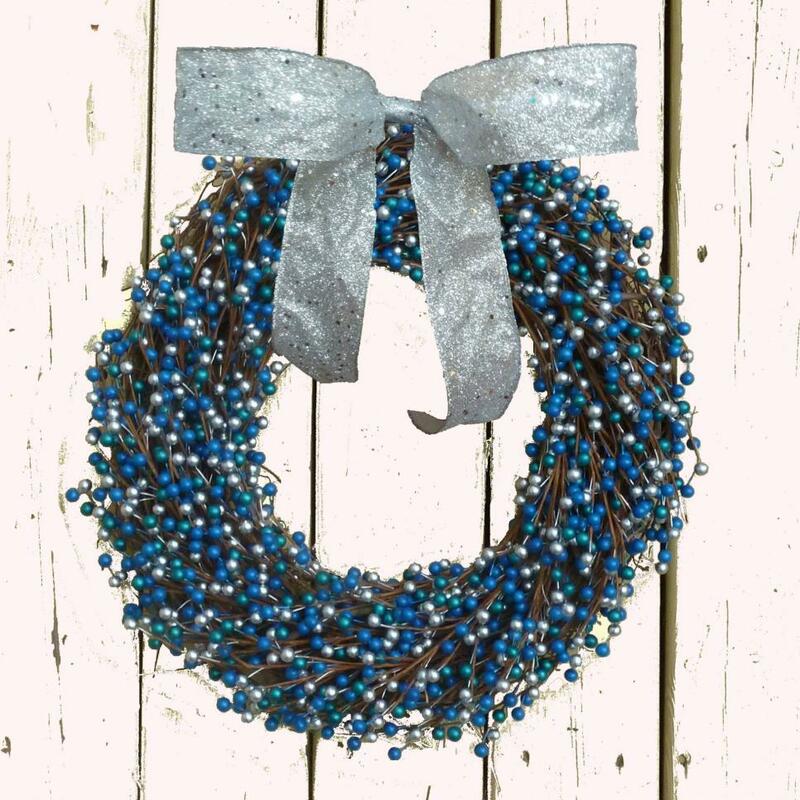 Two tones of blue combine with silver berries for this hand-crafted wreath, sold by Refined Wreath on Etsy. 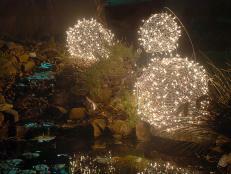 These illuminated bears would be a cute addition to a yard, especially if you have child at home or in the neighborhood. 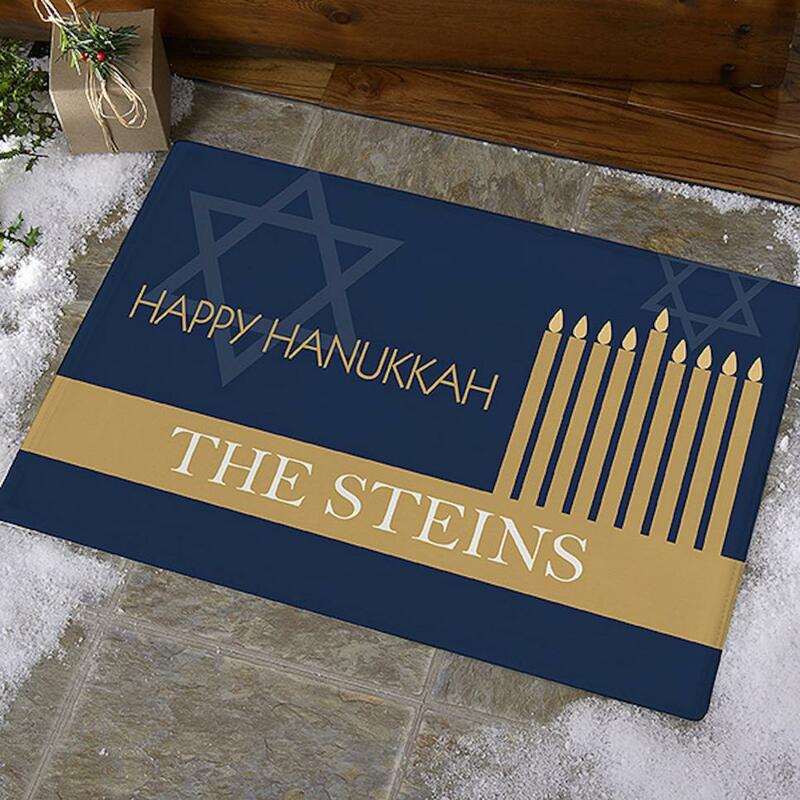 Spinning dreidels bring a lively feel to this doormat. 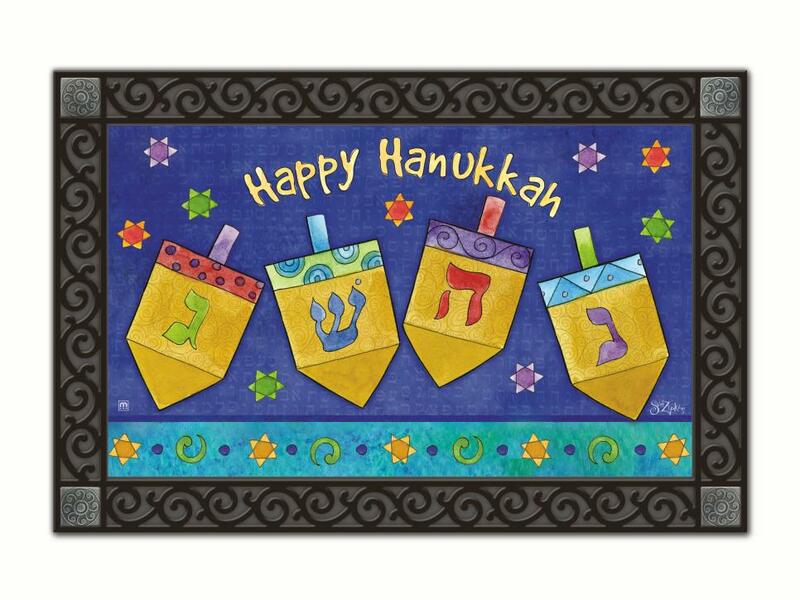 The Happy Hanukkah mat insert, with a recycled rubber backing, can fit into the MatMates Outdoor Doormat tray by Magnet Works. 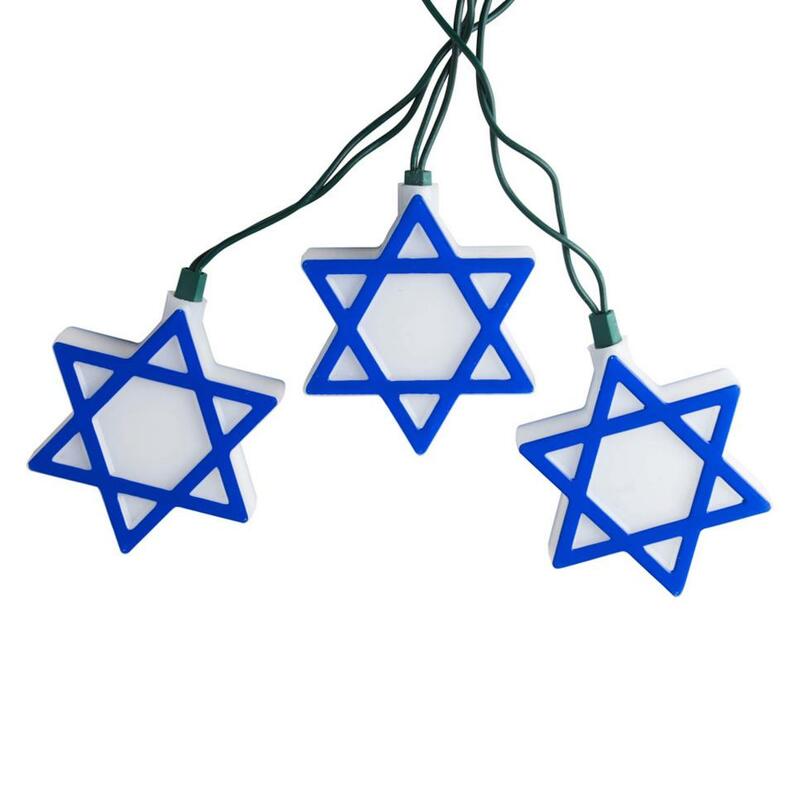 Brighten up your porch or deck with Star of David lights. 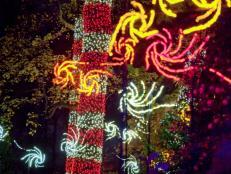 The 10-light set is among the holiday decor designed by Kurt Adler. 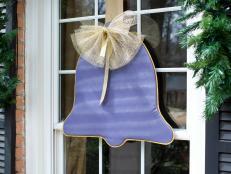 Get personal with this Hanukkah doormat in a streamlined blue and gold design. 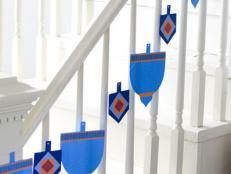 It's part of the Hanukkah collection by PersonalizationMall.com, which also includes a garden flag with the same design. 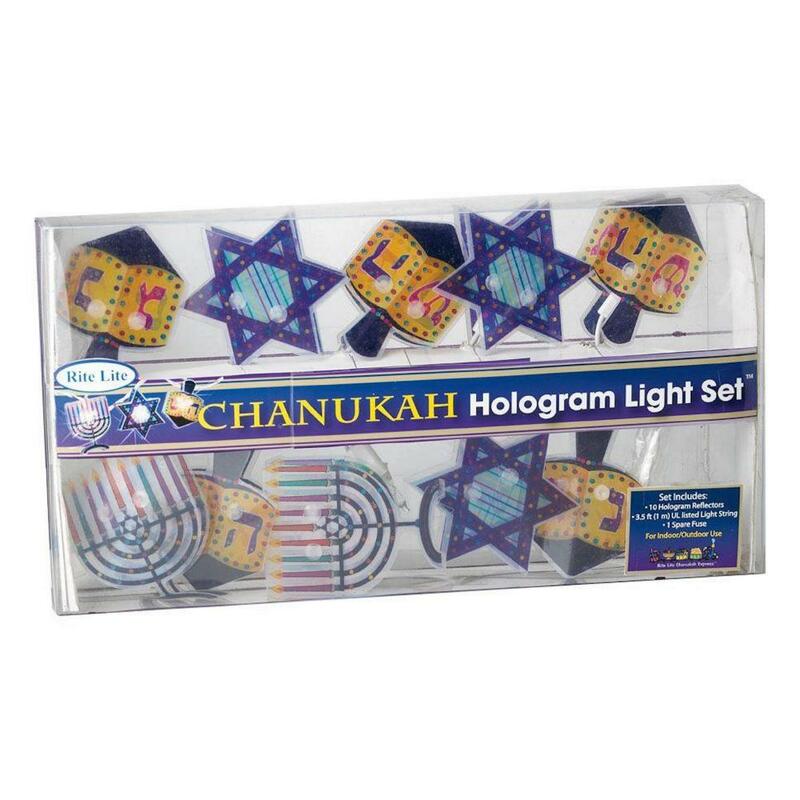 Dreidels and menorahs combine with Star of David lights in the Hanukkah Hologram Light Set, sold by Home Depot. 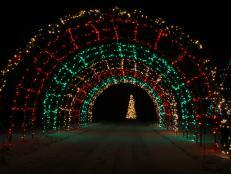 The multicolored string light set spans 9 feet. 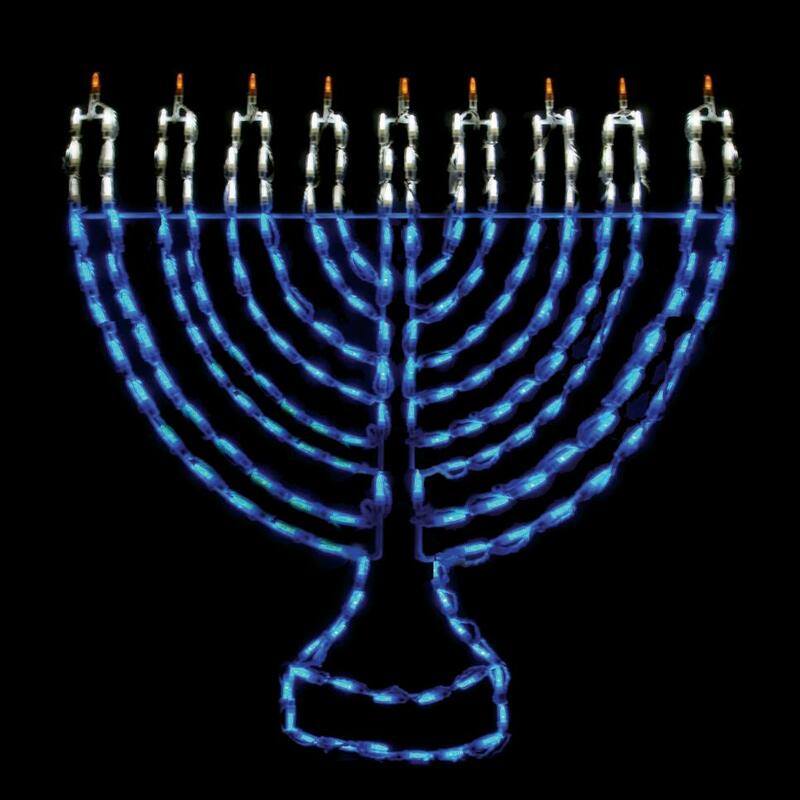 Celebrate the Festival of Lights by decorating your home with Hanukkah-themed lights. 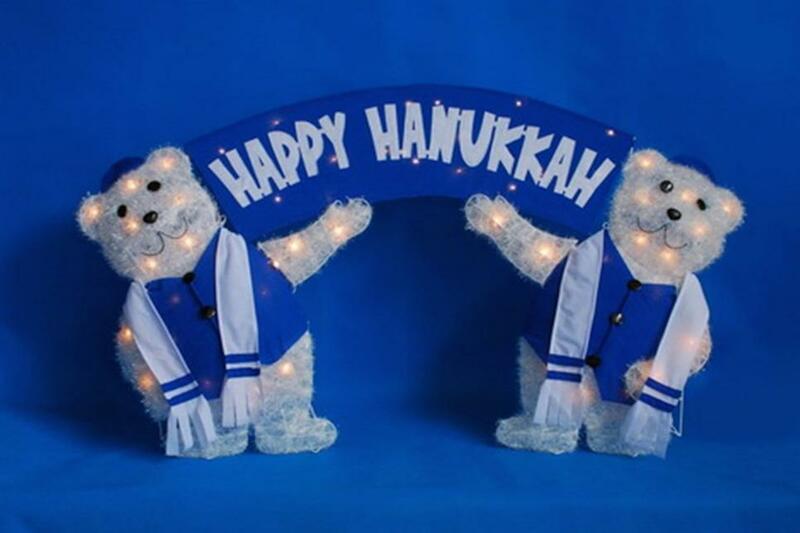 The Dreidel LED Light, by Brite Ideas Decorating, is 32-by-15.